Lock in a great price for Hotel JSL – rated 8 by recent guests! -the hotel is clean. -front desk staff were helpful. The environment is very clean and quiet, it gives you the vibes of tranquility. Staffs are generally friendly and helpful. 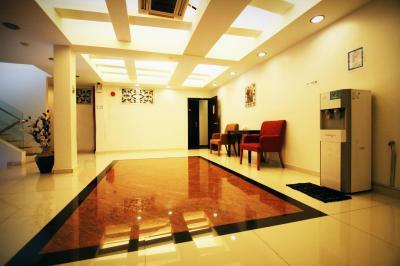 Rooms are really tidy and it exceeds my expectations. There's even a free breakfast for you. At this budget, you'll never get something as good as this! There is a lot of parking space. Easy access to main trunk road. The environment is good. The food simple but delicious. Overall, value for money. Hotel cleanliness and the breakfast. Although breakfast was simple, it taste good and was presentable. Value for money. Simple & delicious breakfast for budget hotel . The breakfast at level4 (rooftop) nice view . Recommended if you want to run from hectic city . Breakfast garden look nice, food are nice but no choices of food. 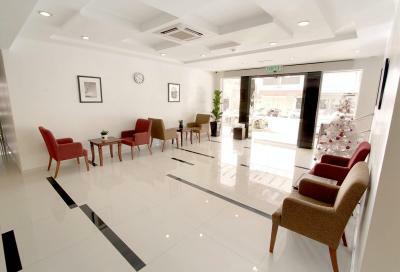 Hotel JSL This rating is a reflection of how the property compares to the industry standard when it comes to price, facilities and services available. It's based on a self-evaluation by the property. Use this rating to help choose your stay! 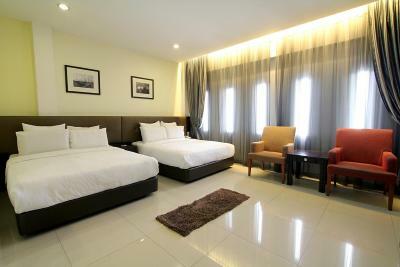 Hotel JSL offers modern rooms in a convenient location, a 5-minute drive from Jusco Tebrau City. A simple breakfast is available every morning at the garden rooftop cafe. Free Wi-Fi and free parking are also provided. 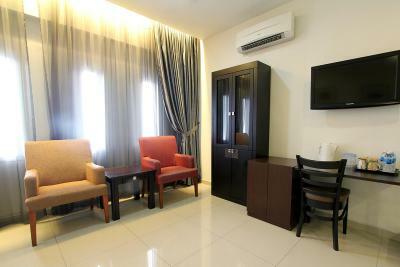 All air-conditioned guestrooms come with a work desk and a flat-screen TV. The private bathroom is equipped with hot shower facilities. 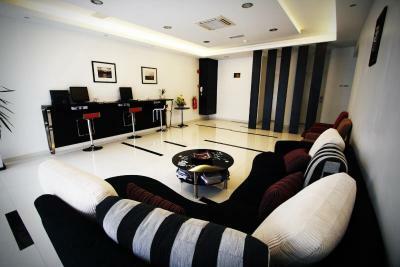 Hotel JSL is less than 30 minutes' drive from Senai Sultan Ismail Airport and the Causeway. The hotel offers a chargeable shuttle service to Singapore Changi Airport. The front desk operates 24 hours. 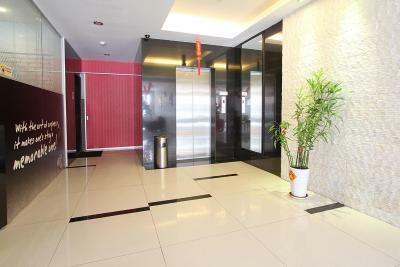 This property is also rated for the best value in Johor Bahru! Guests are getting more for their money when compared to other properties in this city. When would you like to stay at Hotel JSL? Modern room with a flat-screen TV and private bathroom. Room comes with windows. Suite is equipped with a bathtub and a hairdryer in the private bathroom. Modern room with a flat-screen TV and private bathroom. Note: Room does not have windows. House Rules Hotel JSL takes special requests – add in the next step! Hotel JSL accepts these cards and reserves the right to temporarily hold an amount prior to arrival. Please note that there will be an additional surcharge for guests requesting an early check-in. Location far from city center, need to drive and the surrounding is quiet and unsafe. Located in the middle light industry park. Hotel room is good. But there is water leakage from bath room after showering. -you advertised about variety of food that you served on breakfast but there are not. -tv remote not working. -creepy environment -your security guard asked for parking money as we are about to leave and i thought it was free. its not about the money issue bit trust issue. Location is isolated and quiet during the weekend. Clean, friendly staff, value for money. 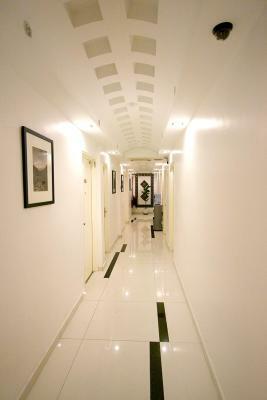 Rooms towards the rear had air-conditioning compressor vibrations that was affecting our sleep. The non smoking room smelled like someone smoked in it. And air conditioning took 2 hours plus to cool down the room. 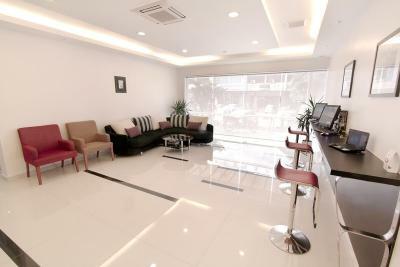 Its clean, nice TV channels, location. Damp smell in the room. Shower drain was blocked. Breakfast was very basic. Clean and comfortable. Value for money. Only thing is that they don't provide parking. Need to park your car outside the road with parking ticket. If you come back late, your car will need to park quite far away from the hotel. Staff is very friendly and helpful. We can't control the temperature of the air conditioning even remote been given to us.